All Star Game Slam Dunk Contest, originally uploaded by Bednarski Media. 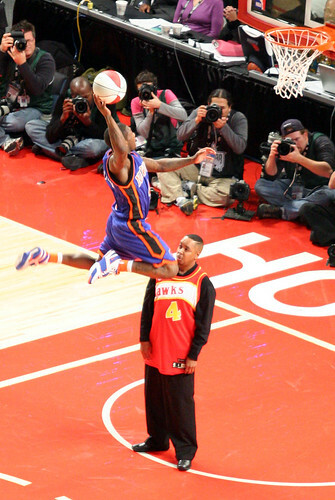 Nate Robinson dunks above his idol Spud Webb - All Star Game Weekend in Houston, February 2006. Wow.. That looks dangerously close to his nose.. Great capture, just at the right moment.